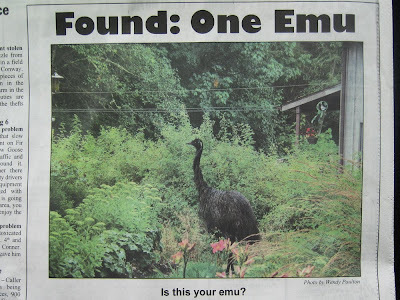 Sidereal Day: Did you lose an Emu? Did you lose an Emu? There is always at least one thing in our local weekly paper that makes me giggle.